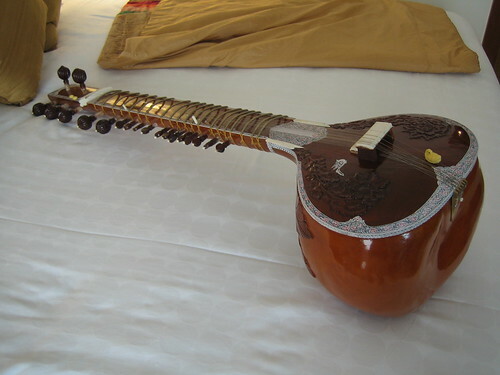 So here's the sitar I bought in Agra. All I have to do is figure out how to play it! Thanks to my classical strings background, tuning the strings and frets was the easy part. Update 2009/11/07: This image was used in this slide show - meditationroom.org/rooms/govinda-radhe.html - because of the CC license. Fun!